Keep your building in compliance with Americans with Disabilities Act with this set of ADA compliant tactile handicap restroom signs with braille. These braille restroom signs measure 6" x 9" and feature rounded corners and adhesive backing. Make sure everyone who comes into your place of business has access to restrooms. This ADA braille men & women restroom sign set will help direct disabled or visually impaired patrons to your handicap restrooms. Not what you're looking for? 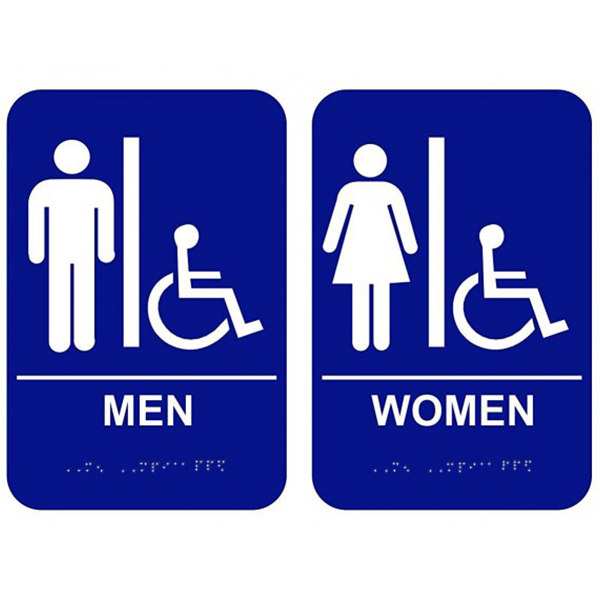 Click here to see the rest of our ADA compliant restroom signs.